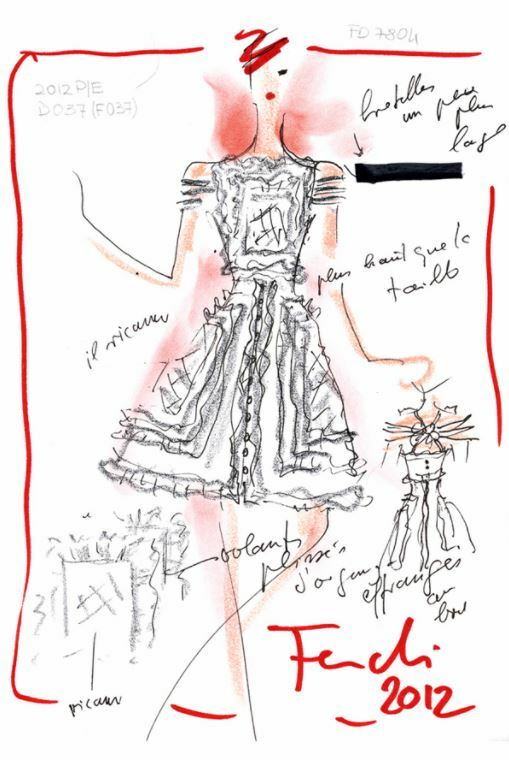 From Christian Dior to Karl Lagerfeld, check out the most inspiring fashion design sketches and illustrations. Study the best to develop your own style! Hey gorgeous! 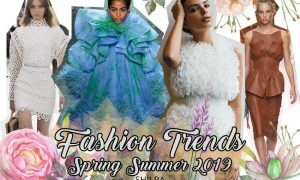 Whether you’re a fashion design student, an established designer or just a fashion enthusiast, it’s always inspiring to see the work of some of the most iconic designers and ateliers in the world. 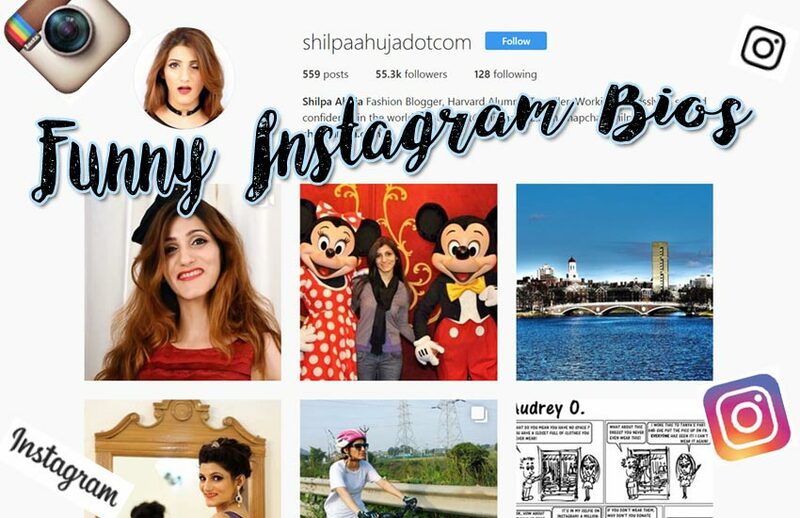 Especially if you’re learning how to make fashion drawings, studying the fashion design sketches by famous designers will help you get new ideas on sketching a dress and rendering hand-drawn designs. 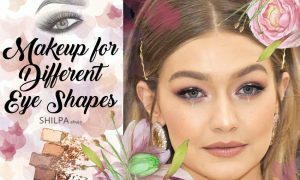 While there are so many apps for fashion design sketching available these days, and there’s no dearth of step-by-step fashion model sketch tutorials, looking at the successful designers’ fashion figure sketches is a learning in itself. And a stimulus, of course. So let’s check out some of our favorites! French artist and illustrator, Christian Bérard was specifically famous for his fashion model drawings in the 1930s and 40s, when magazines like Harper’s Bazaar and Vogue published them. 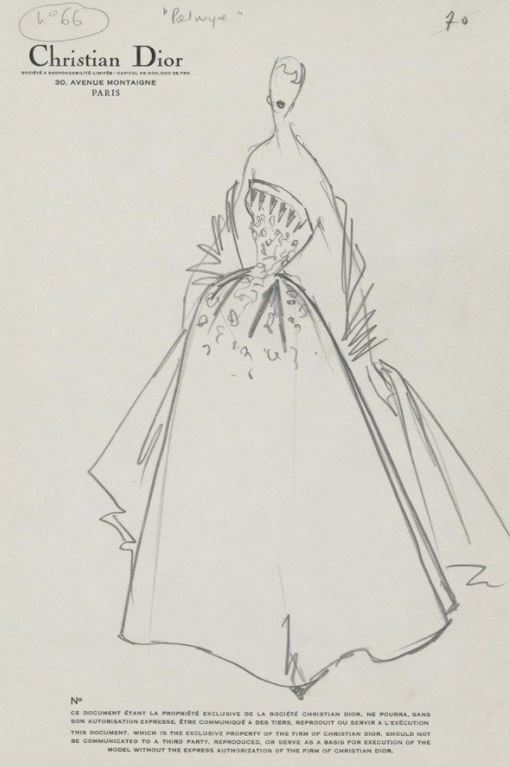 He illustrated for some of the top designers back then like Schiaparelli and Jean Patou. He also did the costume and set design for Jean Cocteau’s film La Belle et la Bête in 1946 (Beauty and the Beast). 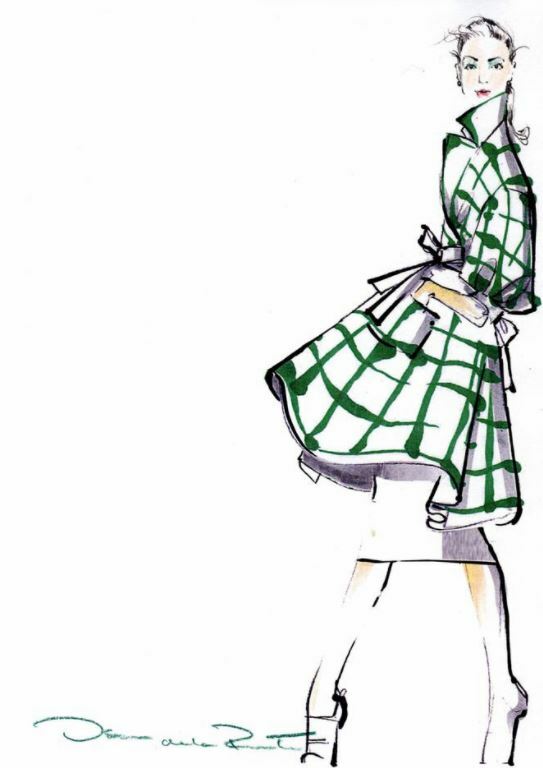 His fashion design illustrations had a simplicity about them, characterized by the use of water color and curves. He used thin water color brushes even for the minor details, instead of pens. Also check out: Christian Dior was Indeed the Couturier of Dreams! The Italian fashion house of Versace has been under the helm of Gianni Versace’s sister Donatella since the late 90s. She has designed for Madonna, Lady Gaga, Beyonce and more. 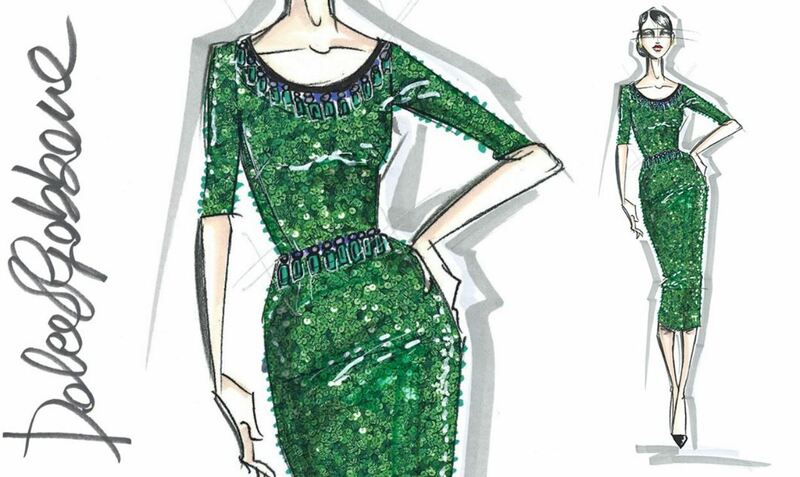 She was also the designer for Jennifer Lopez’s Grammy’s “The Forest Dress”. and has launched her own label, Versus Versace. 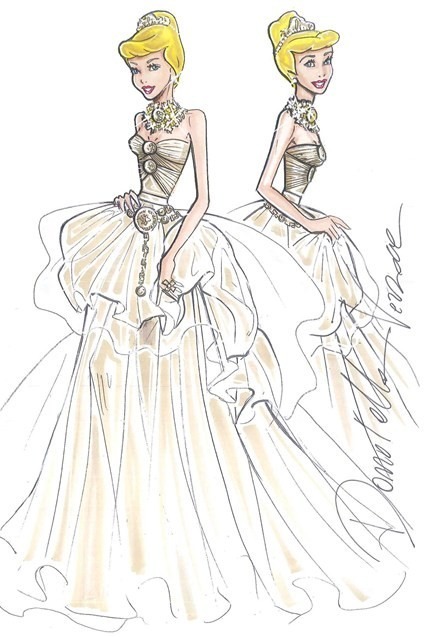 This detailed fashion illustration is from 2012 when Harrods collaborated with 10 best fashion designers to design the modern 21st century versions of Disney princesses’ gowns. 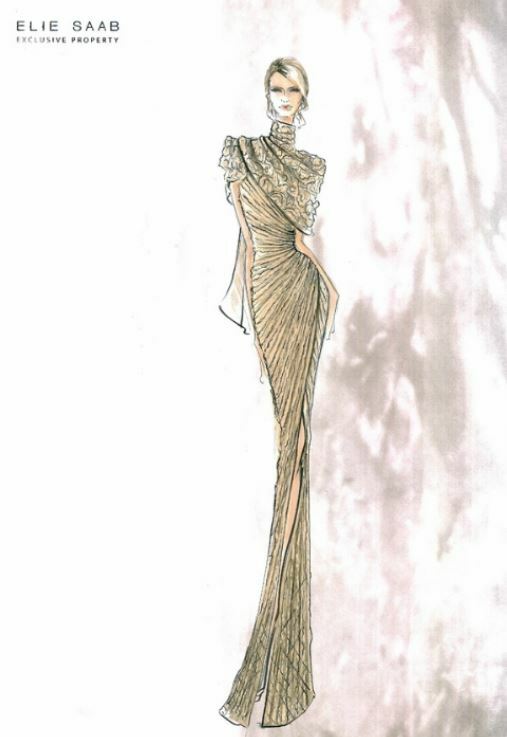 This gold silk high-gloss gown came with a statement necklace, glass slippers and Versace’s iconic Medusa motifs. 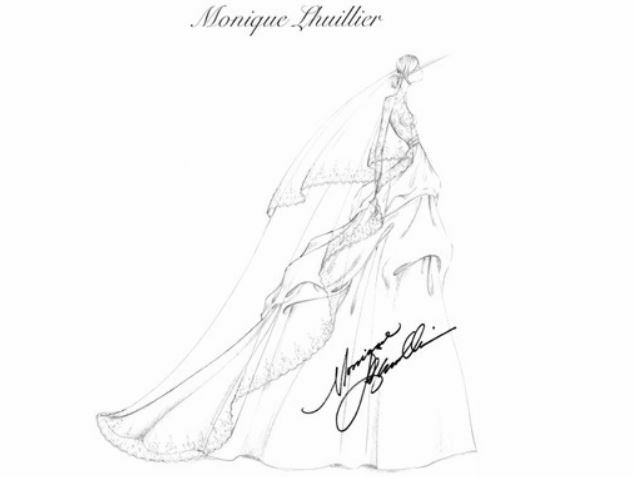 Monique Lhuillier is a Filipino-American designer famous for her red-carpet gowns and bridal wear. 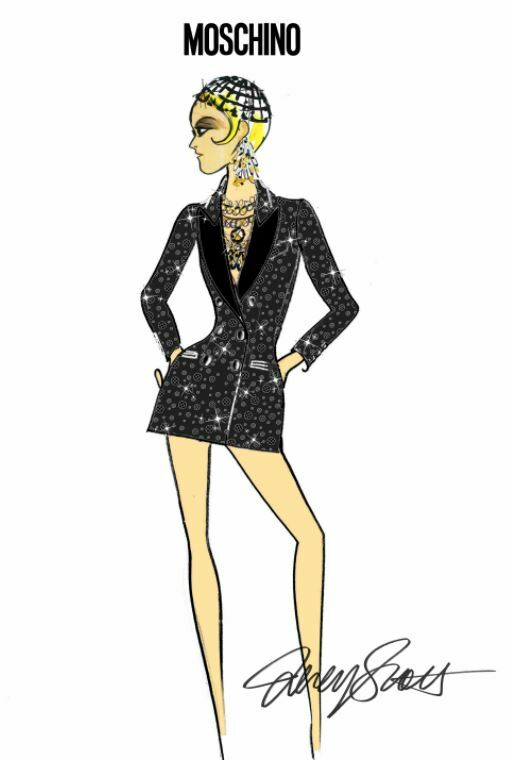 Her illustrations show her appreciation for femininity and allure in evening wear. 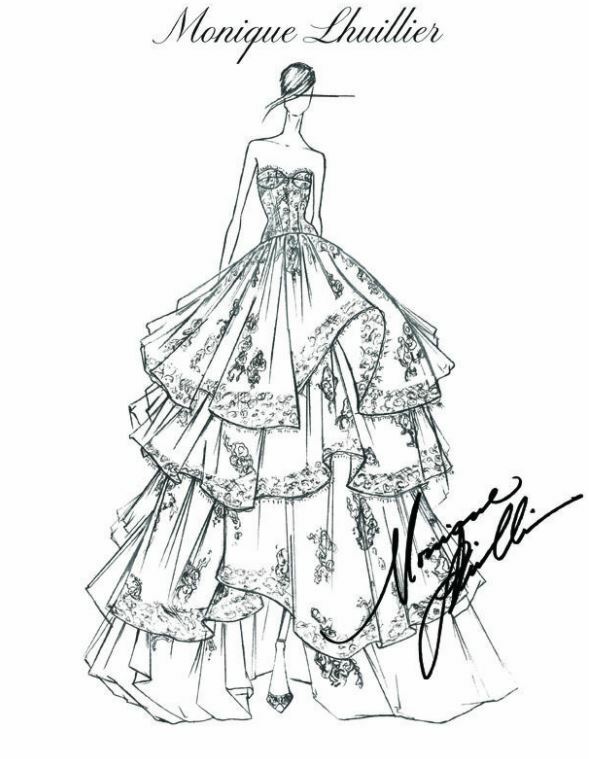 Her fashion design sketches are always painstakingly detailed, showing light and shadow, three-dimensional layering, embellishments and even fabrics. The house of Chanel is an inspiration for fashionistas and design houses alike. Karl Lagerfeld was one of the most influential designers of the 2010s (or perhaps, this century!). He was a photographer and artist, too. Although Karl also designed for Fendi and his own eponymous label, his designs for Chanel are perhaps the most memorable. With the most unique fashion shows, he left no stone unturned when it came to set design, to make sure the whole show is a mood. From beach to airport to rocket launching station to streets of Paris, Karl Lagerfeld created unexpected sets every season, setting the expectations of fashion week higher each time. 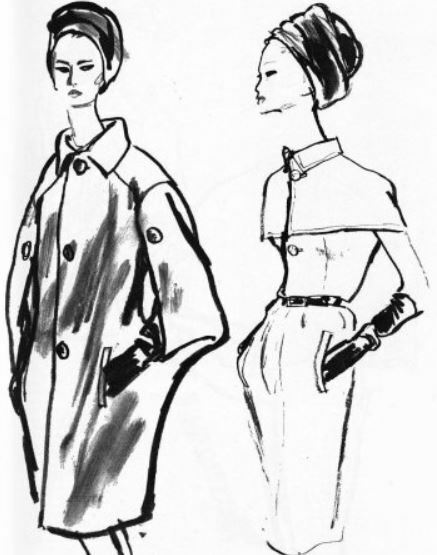 His fashion illustration sketches fascinate me. They show not just an outfit, but a whole mood – a lifestyle. With glamorous poses and expressions – unique in each sketch – his sketches are slightly incomplete and yet build a whole story. He used pencil/crayon in his fashion illustrations for the details. He sometimes mixed them with a single color marker, and uses color to put a backdrop, making the model stand out. Thin and tall, Armani’s fashion sketch models look as if they’re frozen in time on one of their runway walks. Sometimes they’re posing like a modern fashionista! His fashion illustration sketches go into the details of accessories and hairstyles, even skin tones and makeup, building a whole personality. 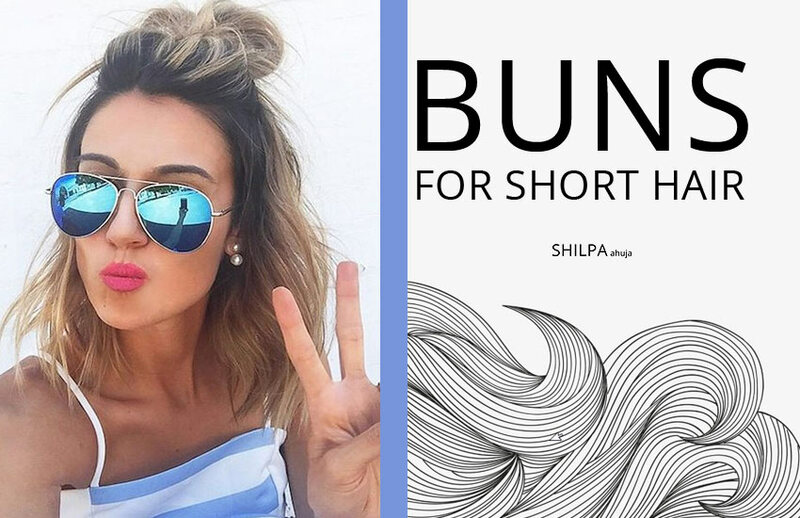 They show the tiny nuances of fringes, embellishments, shine and shimmer. Here are two made for Lady Gaga’s Born This Way ball tour. Famous for his evening gowns and crystal-embellished bridal couture, Elie Saab has dressed many celebrities and royals including Angelina Jolie, Aishwarya Rai, Taylor Swift and Queen Rania of Jordan. His designs fuse western and eastern cultures and pair flowy fabrics with stiff ones like organza and taffeta. 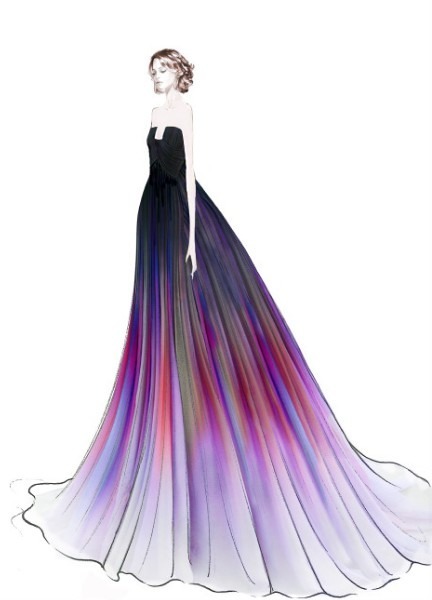 The atelier’s fashion design sketches use gradients to show volume and the sheen of fabrics. Detailed to the point of showing draping and patterns, the sketches use the model as a mannequin, placing all focus on the gown itself. One of the most aspirational fashion houses today, Dolce & Gabbana stands for Italian fashion and lifestyle. It’s all about modern royalty with Dolce & Gabbana’s extravagantly embellished designs, elegant silhouettes and heavy fabrics. The designer duo began their fashion house in 1982. Nearly every big celebrity has been dressed by Dolce & Gabbana, including Kate Middleton, Beyoncé, Selena Gomez, Miranda Kerr to name a few. 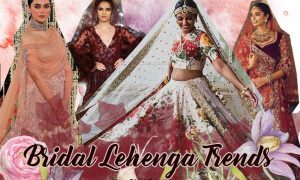 They have recently featured fashion bloggers, and women of all shapes and sizes in their fashion show, promoting inclusivity in fashion. 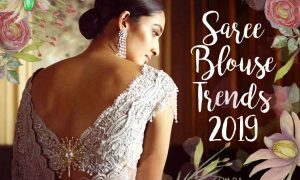 Their design sketches make use of bright colors, just like their designs, and go into intricate details like individual sequins, sheer panels, embellishment patterns and softer color shades within them. The French luxury fashion house, Givenchy, has been around since 1952, and Hubert de Givenchy got raving reviews from Vogue and The New York Times for his first collection itself. The New York Times magazine published an article titled, “A Star Is Born,” making him an overnight sensation. The house has since expanded, employing designers like John Galliano and Alexander McQueen, and has had Audrey Hepburn as its ambassador in Breakfast at Tiffany’s, which introduced the world to the little black dress and countless other iconic outfits. His original sketches have a Karl Lagerfeld-y rawness. The house’s newer fashion model illustrations are also simpler, more minimalist in comparison to the others’ in this list. Popular for its eccentric designs and fun, colorful collections, Moschino was founded in the 1980s by the late Franco Moschino. Jeremy Scott has taken the brand forward by creating themed collections every season. From a Barbie themed collection, to to a Jackie Kennedy inspired one, from traffic cone hats to candelabra head pieces, nothing is out of bounds for Jeremy Scott. The quirky designs are the reason we look forward to watching Moschino fashion shows every season. Just like his designs, Jeremy Scott’s fashion illustrations depict the quirky, yet stylish, woman – attitude, pose and all! 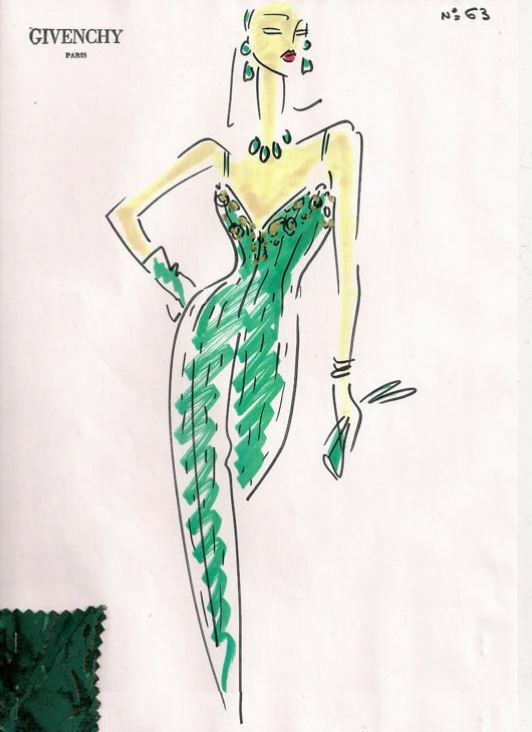 The jewelry, hair and makeup are as much a part of his sketches as the outfit itself. It complete’s the look, doesn’t it? America’s famous designer needs no intro either! He worked for design houses Lanvin and Balmain prior to launching his own label. 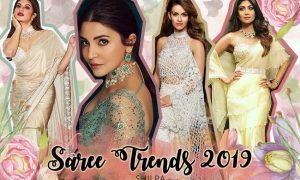 His brand dressed Jackie Kennedy, Rihanna and more recently, celebrities like Sarah Jessica Parker for a famous Met Gala dress and Amal Alamuddin for her wedding. ODLR is unarguably one of the most iconic designers of our time. He was the the first fashion designer to be on a stamp, when United States Postal Service released 11 stamps featuring his designs. “His clothes reflected the duality of the American woman-feminine without looking fragile, authoritative yet still refined,” mentions the USPS website about the designer. Oscar de la Renta’s original sketches have a fun, contemporary feel, showing prints, colors and patterns with soft brush strokes on a white background like Japanese paintings! His attention to detail shows, and so does his appreciation for femininity. 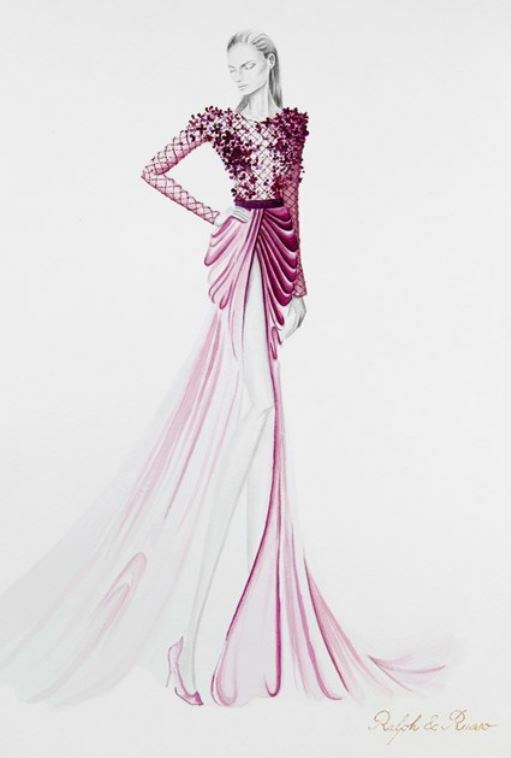 The house of Ralph & Russo is relatively new, but already making its mark with classy designs and feminine appeal. The high fashion house specializes in haute couture, ready-to-wear garments, luxury goods, and fashion accessories. Ralph & Russo became the first British brand to be elected to show its collection on the official schedule at Paris Haute Couture Week – the first in almost a century. The duo Tamara Ralph and Michael Russo founded it in 2010, and already have countless A-list clients like Blake Lively, Angelina Jolie and Priyanka Chopra. Their atelier’s fashion model drawings are detailed with fine lines, showing light and shadow, detailing out fabrics, applique and draping. Unapologetically beautiful! 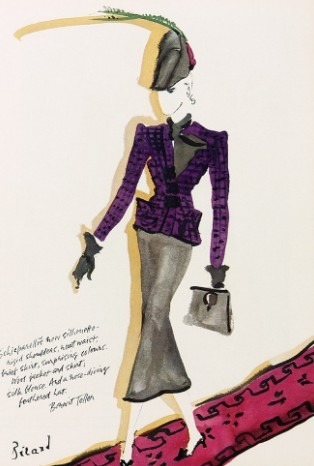 So, did you enjoy seeing these fashion design sketches by the world’s most famous designers and illustrators? It sure was a visual delight for me, I loved collecting them. 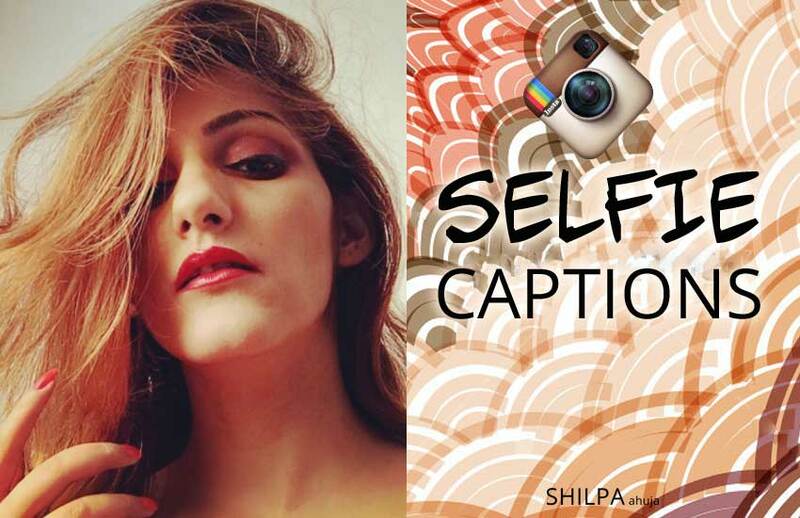 Tweet your thoughts @shilpa1ahuja! I love reading your blog! One of the best fashion websites on the internet today.